The laundry is usually the most neglected room in the home. As you spend so much time in your laundry why not make it more stylish and pleasant to be in? Your new laundry design should include some modern ideas and concepts such as bench space, cupboards and drying area. A modern laundry renovation will increase laundry storage space and make your laundry a much more functional room. Cupboards and drawers will help keep your laundry organised and tidy. Your laundry renovation might include floor cupboards and wall cupboards - providing storage space for laundry baskets, brooms, and all those items that need a home. Functional laundry bench space will give you flat space for sorting laundry and provides useful space around around the laundry sink. Consider a caesarstone bench top for a smart new look. It is easy to clean, tolerates chemicals, damp and temperature changes. Brighten up your laundry with modern colour tones. Your laundry renovation can be undertaken matching the colour scheme of your bathroom and/or kitchen - giving your home a modern and consistent look. 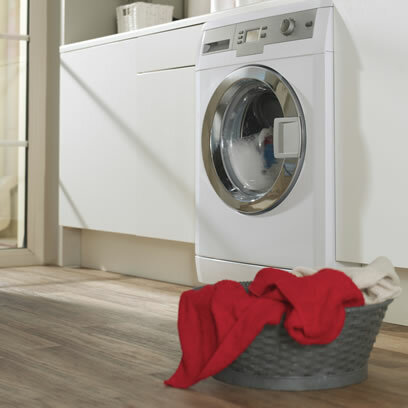 With more people becoming conscious of their energy usage, and laundry appliances becoming smaller and more energy efficient, a laundry renovation will stream-line the look of your laundry and maximise the extra space those smaller appliances are providing. 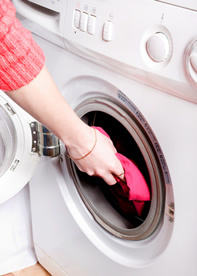 The trend to do away with electric clothes dryers as a way of saving energy and money means your laundry needs a drying area, particularly when it is too wet to hang your washing outside. In your next laundry renovation why not cater for a drying area where you can hang clothes to dry without having to worry about the weather. Make your laundry more functional and attractive. Contact us today for a free quote on your laundry renovation.